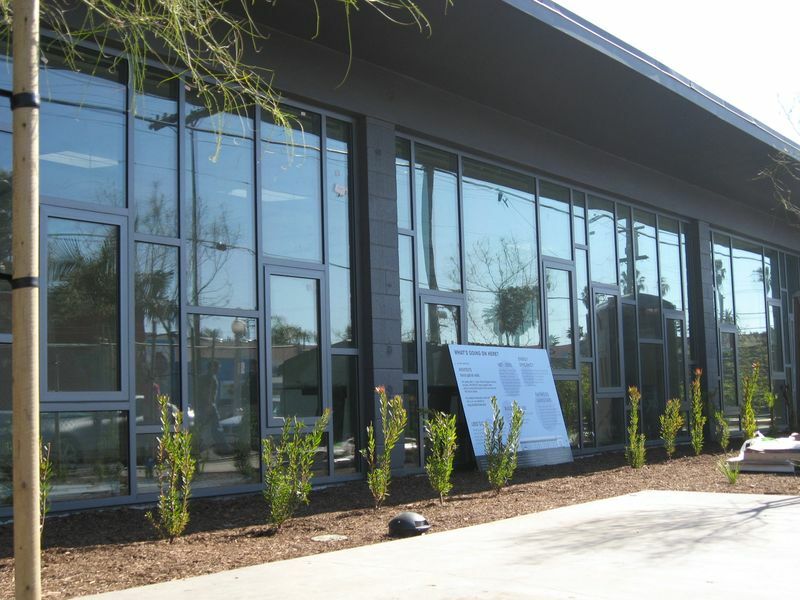 An Ocean Beach architecture firm’s new offices will be the first commercial building in San Diego County to qualify as net zero — meaning it generates as much energy as it consumes. Now THAT’S a good neighbor. Nice work Hannah Gabriel Wells. Maybe some of your eco-friendly ideas can help World Oil/Marketing (whatever). They obviously don’t understand that we want more sustainable buildings in town like yours! Net zero energy. What does it really mean. I cannot understand.? I like the idea it generates what it consumes and we have a vibrant business in OB…I just wish the colors weren’t so dark and dreary cause it’s not too pleasant on my eyes. But you can’t always get what you want…… Good photo though.